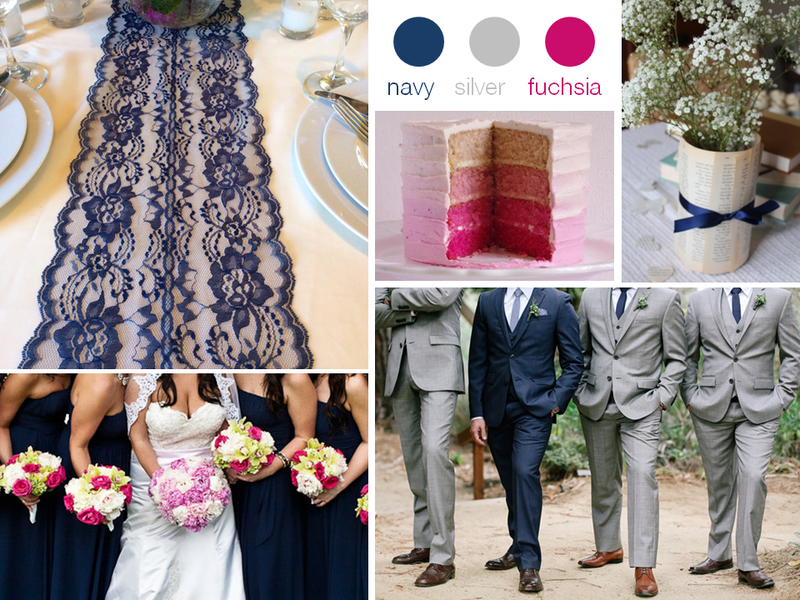 I created an inspiration board for my wedding using our chosen wedding colours - mainly navy and silver with a splash of fuchsia. Love the colours for your wedding. How did u create the board itself: colours and pics together? Is there a website or app to use? Thankyou! I just copied and pasted from the internet to PowerPoint and added the coloured circles. I use pinterest as well which is really good but not as presentable in this format.